Patriot Gold Corp. (Stock Symbol: PGOL) is a gold and silver company with a focus on Nevada and Arizona. The Moss Mine project, in which we own a 3% royalty, is in commercial production. 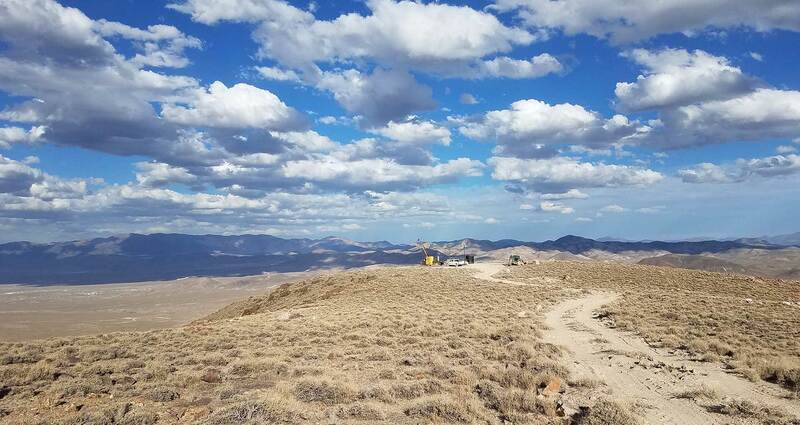 The Bruner gold project, in which we own a 2% royalty, although not yet in production, has delivered outstanding drill results and had a Preliminary Economic Assessment carried out. Our wholly-owned Vernal gold project and Windy Peak project are both early stage projects. Our focus has been to develop gold and silver projects in the Southwest USA. We have limited our focus to this part of the world in order to eliminate the jurisdictional-risks associated with mining in foreign countries. We have also chosen to focus on the Southwest USA because it lends itself to year-round accessibility, has excellent mining infrastructure, offers a world-class highly-skilled workforce, and is known for its prolific deposits. We started exploring in 2003 and shortly thereafter acquired the Moss Mine and Bruner projects. The Moss entered pilot production in 2013, we converted our interest to a 3% royalty in 2016, and the mine is now in commercial production. The Bruner project has recently had a Prelimary Economic Assessment completed and quantified a substantial resource, and we converted our interest in the project to a 2% royalty in 2017. Our shareholders have taken a long-term perspective to develop and produce our gold and silver assets, and have now met with success. If you are interested in becoming a shareholder or partnering with us, we welcome you to contact us.